We have purposely kept our business model small, so we could devote more time to each boat. We tend to be obsessive about the details, and we expect the yards who are executing our designs to build what we draw and specify. This approach results in a better outcome for our clients – as the boat is going together, and when it is time to sell her at a later date. 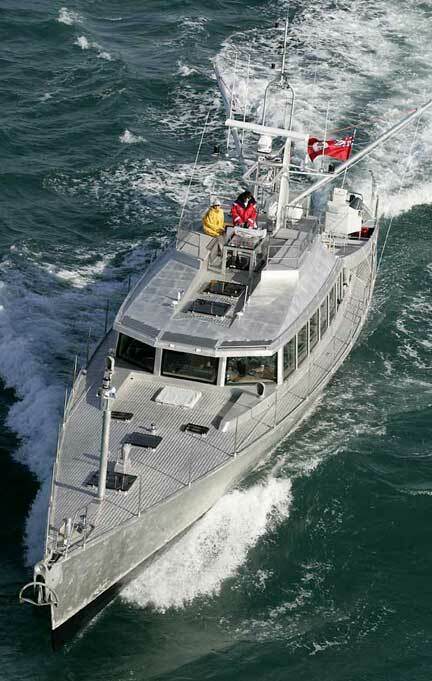 Our yachts are engineered and specified to be efficient for the first and subsequent owners. This keeps our clients happy on two fronts. First, the boats are cost-efficient to build – and are less expensive to maintain. And second, when the time comes to sell the boat, the resale prices tend to be strong. We firmly believe that in order to make the correct design and specification decisions, we have to spend time living with our boats. This means crossing oceans and spending long periods in the normal cruising lifestyle. There are thousands of details on each project, almost all of which involve tradeoffs, and there is no substitute for keeping our real-world experience fresh in this process. 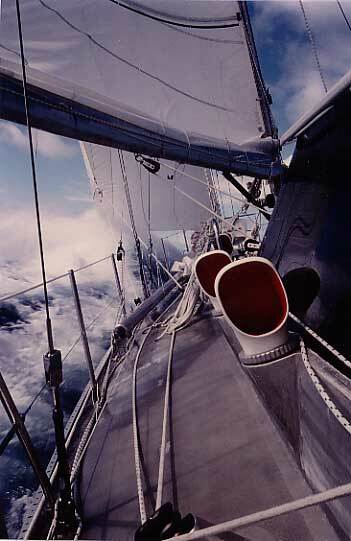 So periodically we head offshore to remind ourselves what the cruising life is all about. These sea trials have added up to more than 200,000 miles of cruising. If you’ve been watching the marine press, you’ve probably seen some articles about our latest project, our FPB series, or “Unsailboat” as we’ve taken to calling it. This is an ocean-crossing motor yacht based on the same premise as our sailing designs – safe, comfortable, and fast passages. The design brief is to treat us kindly as we cruise some of the more interesting, albeit inhospitable higher latitude destinations which we’ve avoided under sail. This entry was posted on Sunday, November 20th, 2011 at 3:13 pm and is filed under Dashew Offshore, Dashew Offshore History. Both comments and pings are currently closed. Can your concept be scaled down? I agree with many of you concepts and beliefs but will not likely ever have the budget for a 60+ foot yacht. 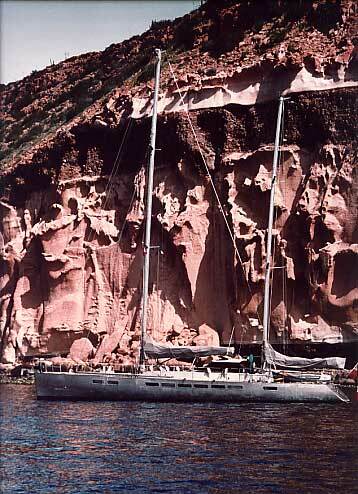 Do you think you concepts could be scaled down to a 30′ vessel? Do you know of any examples or designers that are doing so? Fascinating work you are doing. Scaling down is a bit more difficult than scaling up. We have not had time to work through a smaller version, and it may not be practical. 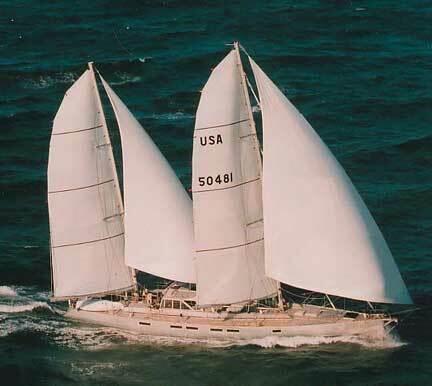 Do you have any thoughts on a scaled down version for the Pacific Northwest inside passage Seattle to Alaska. The wave potential is so much reduced from the North Pacific. Wind and steep chop are still probable especially against tidal flow. I’m guessing the cost of the roll suppression system will not change that much with a size reduction so this may limit the financial benefits of a smaller craft. Also diesel engines seem to be pretty costly/HP when they get below 100 HP. Would still need to deal with all the logs in the water and a hard bottom. There are a variety of factors associated with scaling down for which we do not at present have solutions that we’d want to see put into build.